Ready.. Set.. Go!! It's going to be a race to see what lucky buyer gets this gorgeous home!! 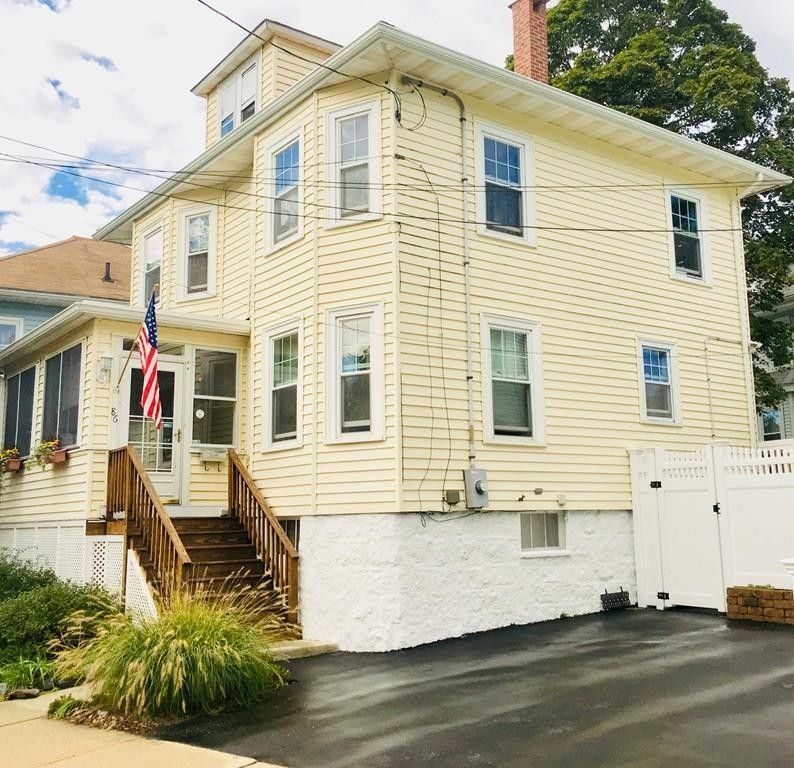 Come view the perfect collaboration of Colonial charm, big city conveniences & the beach just a short walk away!! It really doesn't get much better. This lovely home features a fenced in yard with a great patio & deck area for entertaining. When you enter the home you can't but notice the high ceilings & beautiful crown moldings that adorn the windows throughout - natural light saturates every room! The bright kitchen opens up into the dining room. The living room with its coffered ceiling and wall of windows opens into a very spacious foyer area. There is also a 3 season porch in the front, a nice bonus! Upstairs there are four traditional bedrooms with hardwood floors and lots of windows! One of the bedrooms has access to a walk up attic space, perfect for extra storage. The walk out basement has a workshop, laundry area and a partially finished room that holds many possibilities! A must see! Directions: Hancock St. to Billings Road to Vassall St. or Quincy Shore Dr. to Vassall St.